Narrated by Olympic Gold Medalist Jonny Moseley. Total time +/- 98 minutes. 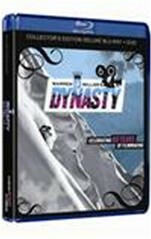 The spectacular Blu-ray 2010 Warren Miller DVD release – Dynasty – from the 2009 Film Tour is ‘Celebrating 60 Years of Film-making!’ Dynasty highlights winter’s most gripping explorations and ultimate challenges. Witness incredible action and breathtaking ski footage from across the world (China, Alaska, Norway, Colorado, British Columbia) set to an innovative soundtrack including music from Incubus, Silversun Pickups, and Band of Horses. Jonny Moseley, Olympic Gold Medalist, narrates the film. World-class cinematography presents Dynasty in striking high-definition. 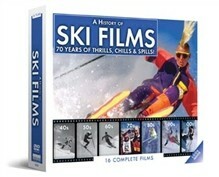 This feature film is a great way to celebrate Warren Miller’s 60th Anniversary. Total running time +/- 98 minutes.